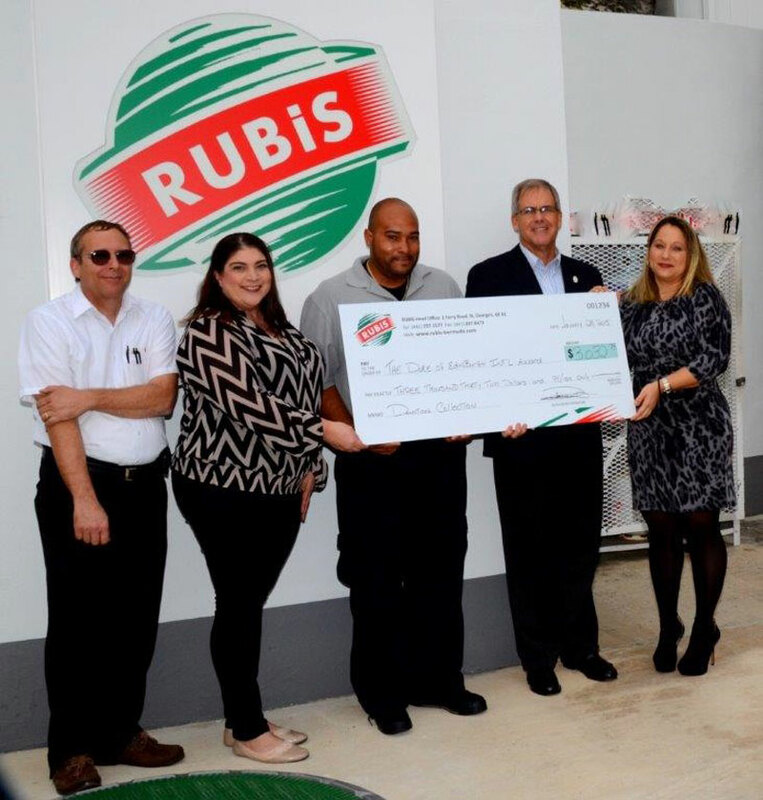 The Duke of Edinburgh’s International Award Bermuda is offering its thanks to both RUBiS Energy Bermuda and members of the public for supporting the Award’s inaugural “Season of Giving” promotion that ran throughout the month of December 2014. The promotion saw sponsorship from nine of the island’s local RUBiS dealers, including Dowling’s Marine, Causeway, Terceira’s North Shore, St. John’s Road, East Broadway, Paget, Warwick Gas Station, Robinson’s Marine, and Boaz Island Marine. David Rose, Managing Director of RUBiS Energy Bermuda Ltd. said, “When we were first approached by the Duke of Edinburgh’s Award, it was evident that their programme was aligned with the charitable and community oriented objectives of RUBiS. “The future of Bermuda depends on the attributes of our young people and the personal development and enrichment of our youth is certainly an objective we are happy to support. A spokesperson said, “Public contributions raised a total of $1,516.37, which was generously matched by RUBiS Bermuda, thus totaling a final donation of $3,032.74 that was presented to the Bermuda Award’s Council Chairman, Mr. Andrew Parsons and National Director, Ms. Traci Burgess. Jermaine Simons, Sales Manager for RUBiS, said, “The Duke of Edinburgh’s programme helps Bermuda’s young people to receive skills, confidence and a positive view on life that everyone is looking for, from employers to colleges and universities. “The Award is available to everyone between the ages of 14 – 25 who wish to participate. “Participants thrive as they overcome personal challenges; enhance employability skill sets; increase self‐confidence; learn much needed critical thinking skills; and establish positive peer relationships through team building opportunities. For additional participant information, volunteer positions, and sponsorship opportunities, email director@theaward.bm, call 537-4868, or visit the official website.